Meticulously clean...! Immaculately preserved..! Superbly Comfortable..! 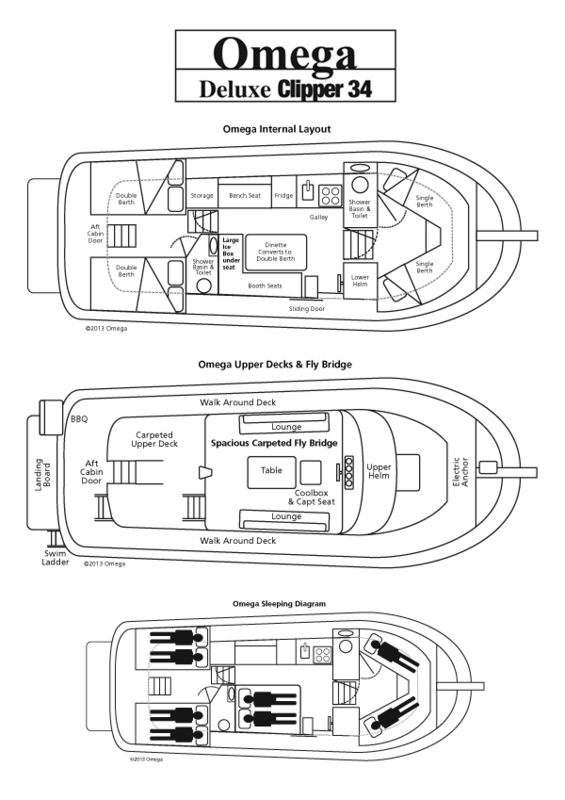 Yes Omega is the only "Executive Class" Clipper 34. No expense has been spared whilst still remaining true to the traditions of her original design. For that Fabulous relaxed Autumn cruies at Shoulder & Off-Peak rates ... Book now. Such a great time to be on the water. Book Now & Save withour Early Bird discounts as available dates are genuinely limited for2018/19 Summer & School Holidays, October and November are some of the best times to be on the water and incredibly good weather and Sholder rates. What makes this such a remarkable part of the world?? The most perfect Beaches on earth, the remoteness and wilderness of the vast National Park, the sophisticated and casual restaurants, the almost endless list of places to go and things to do?..Find out for yourself why the Pittwater endof the Hawkesbury such a special destination. 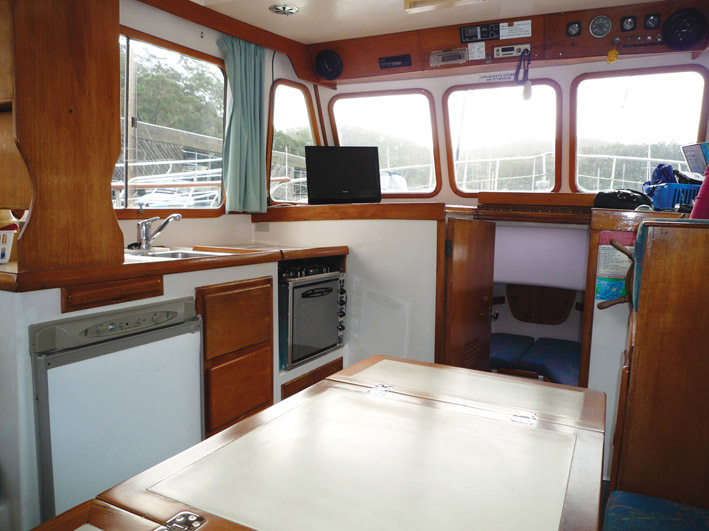 Cruising Guide to the Hawkesbury River, Cowan, Broken Bay and Pittwater by John and Jocelyn Powell . Filled with current and historic information, many maps, Seamanship, Fishing , Bird and Wildlife and so much more. You will find a copy on board Omega. OmegaHoliday or Short Break is awesomeand a "Healthy Out-Door Life Style"Escape & unwind, Adventure, Entertainment, Accomodation, Transport, Dining all in one packaage. 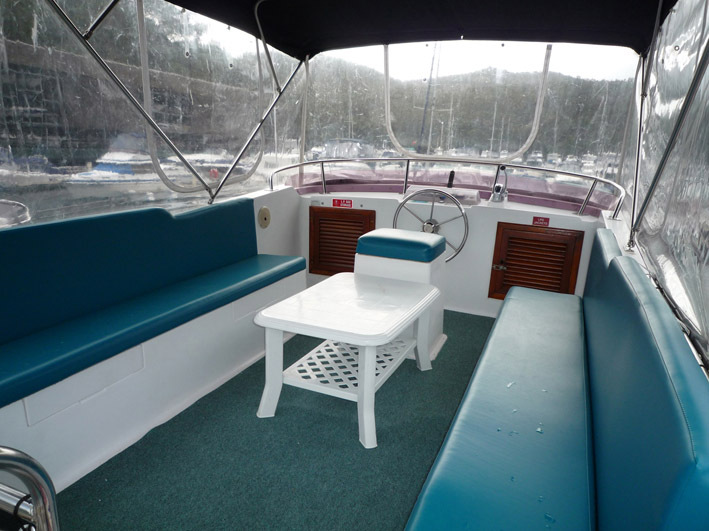 The Only Hire Boat with Full Walk Around Decks ..!!! !Full headroom throughout... easy access to large Flybridge...Only Clipper with All-Weather Clears on the Flybridge and loads of other special extras not available on any other Clipper.! !Go to theWhat Makes Omega so Special TAB.